Vivo, the Chinese smartphone maker, is among the few companies that changed its game in a short period of time. In 2017, the company has introduced a number of entry-level and mid-range smartphones. Moreover, it's the first company to introduce the in-display fingerprint sensor with Vivo X21. Now, the company is pushing its limits with new flagship smartphones that will redefine the next generation devices. The company unveiled Vivo Nex A and Nex S earlier this month, and they went on sale only in China. Now, the company will be bringing these smartphones to India. 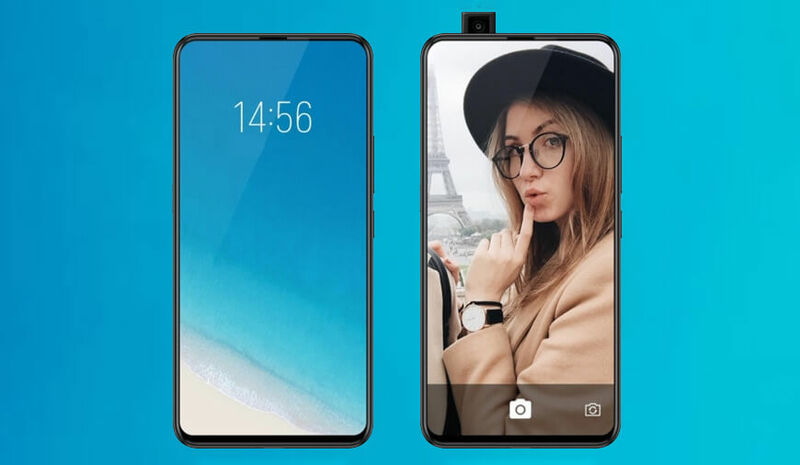 With full front screen display without using the notch, the company has embedded a pop-up camera to these smartphones. Where Nex S is the higher end Nex device, the Vivo Nex A is the affordable one with few limitations. The approach was simple as the company wanted to achieve the 91.6 percent screen to body ratio, so the front camera has to go. However, the execution wasn't that simple, Vivio took another approach by ditching the notch display pioneered by Apple. 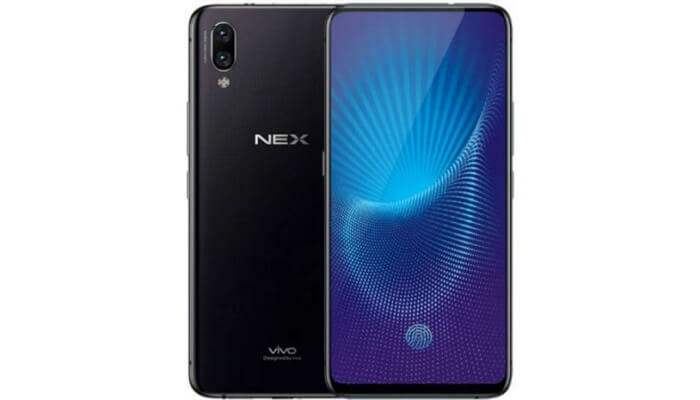 Vivo Nex A is an attractive smartphone that is built with the combination of metal and glass. The phone sports 6.49-inch display which makes it quite big. The front of the phone is full display with the front camera hiding inside the phone chassis. The back side of the phone is all metal with a glossy look. Vivo has given the Nex A its patented triangular pattern at the back. The rear camera of the phone comes in iPhone style placed vertically at the left top side just above the LED flash. At the center of the back, you will find the fingerprint sensor. The big Nex A is one of the company’s masterpieces as the metal look with triangular pattern adds a winning look. The phone possess a sizeable uninterrupted screen, which is accompanied by the Pop-up camera when needed. Vivo has embedded the front camera differently to achieve higher screen to body ratio. The front camera hides between the phone’s body when idle and pops out at the top whenever you open the front camera. Vivo isn't counting only on the Pop-up camera to make Nex A the next generations smartphone buzz. Besides, there is too much power under the hood that makes the phone a perfect flagship device. Nex A comes with 6.49" AMOLED display that offers 1080p+ resolution. The pop-up camera helped the phone to achieve 19.3:9 aspect ratio. The smartphone runs on a 10 nm Snapdragon 710 chipset that is coupled with a (dual 2.2 GHz Kryo + Quad 1.7 GHz) core processor. The processing power of the phone is backed up by a 6GB RAM and 128 GB internal storage. The internal storage is expandable using the microSD card. The camera unit of the phone is also composed of powerful components. Vivo Nex A rear camera comprises a dual lens that captures unrivaled images. The rear camera contains (12MP +5MP) dual lenses that come with dual pixel Autofocus. The pop up front camera holds an 8MP lens that can be used for amazing selfies and video calling. 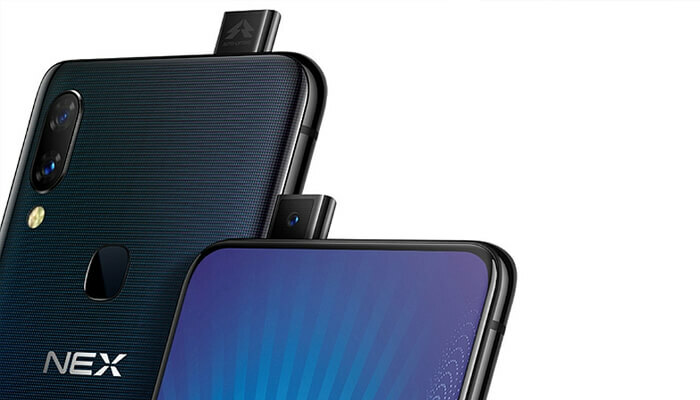 Along with this the Vivo Nex A comes with a 3.5 mm jack accompanied by a micro USB port for charging. With the smartphone, you will also get a 4,000 mAh non-removable Li-Ion battery that supports fast charging. Vivo has already launched the smartphone in China, and it is available to purchase there. Recently the company has released a banner in India that asks people to book their date on 19.7.2018 for the upcoming smartphones. The rumors suggest that the company will be launching Nex A and Nex S on July 19 in India. The Nex A that comprises 6GB RAM and 128GB internal storage cost CNY 3,898 (roughly Rs. 40,400) and the Nex S starts at CNY 4,998 (roughly Rs. 52,000). Vivo seems to be in pursuit of leadership in the mobile industry with its back to back flagship smartphones. Vivo Nex A is an affordable version of Nex S that comes with great design and unique front camera set up. The pop-up camera makes the phone full front screen, and the powerful hardware setup makes it a worthy rival to top-notch flagship smartphones. However, Vivo isn't the only one to come up with different front camera settings, recently Oppo has also launched Find X that hides the front and rear camera inside the phone’s body.